Australia is truly unique — it is the only country in the world that covers an entire continent and it is also the largest island in the world. You will wonder to know, it has eight of the top 100 universities in the world; it has a highly modern quality education system which produced so many scientists’ designers, Entrepreneurs & artists who have change the world. You will proud to be a part of it as there are so many awards winning personality from Oscars to Nobel prizes. Many international students are choosing to study in Australia because of its Calm & friendly, excellent education system, and high standard of living. World Recognized: Universities in Australia have a strong reputation worldwide, having a degree from Australian University gives you a big platform to work & develop your skills anywhere, all over the world. Upgraded Technology: Student who will be studying in Australia, take benefits of its advance technology & research resources because they have so many quality scientific research programs for international students. Quality Assurance: The TEQSA and AQF are Australian government bodies, who maintain higher education standard of Australia. Innumerable courses: Australia is most significant global education powerhouses that offer numerous courses and degrees in all universities and colleges, so anybody can choose right course and stream for the future. 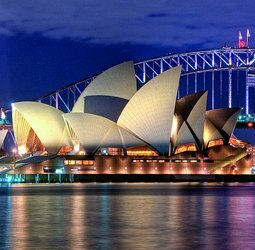 Cost of Living: The lifestyle and living standard of Australia is quite high in the world. It is the third most popular destination for international students because it’s living cost and educational fee is considerably lower than UK & USA. Work Opportunities: International students in Australia can work up to 40 hours per fortnight during the stay, allowing them to earn money, gain useful work experience in their field of interest and opportunity to meet with variety of people. Friendly & Safe: Australia has a very friendly and safe environment, which helps you to focus on study and be more innovative with your ideas. Multicultural Society & Diversity: People live in Australia for job and study purpose; people are here from almost every aspect of world. Multicultural environment and cultural activities are very important in our life, Studying & Traveling in Australia will be a wonderful experience and diversity of education religion and place will be enhance your skills. Every student want to do their study in a good English speaking country, and Australia is the third most popular destination behind the United States and the UK. Eight out of hundred top universities in the world are Australian. Institutions in Australia offer so many courses and degrees, so that students can easily find their choice of course in universities, vocational education, and English language training. The Australian education system is most exclusive from many other countries by the Australian Qualifications Framework (AQF). If you are studying an AQF qualification, you can be sure that your institution is Government-authorized and nationally accredited, and that your degree or other AQF qualification will be genuine. Australian universities feature in the top 50 ranked universities in the world in arts & Humanities, Clinical or Pre-clinical & Health, Engineering & Technology, Life Sciences, Physical Sciences and Social Sciences. There is wide variety of safe and modern accommodations offered to students in Australia, you can choose accommodation that suits your needs and budget. On Campus – living in university campus will be a great option. It will minimize your Travel & expenses. Living in campus give you option to live with classmates and friends. Off Campus – Many Students choose off campus option (Private, ranted accommodation) as they want to explore their life beyond the campus. If you are renting a property, you need to pay a security deposit or 'bond' as well as rent in advance. Home stay – Australian Families offering home-stay accommodation to international students are ensure they can provide a suitable living environment for students. It is a good option for younger student. The cost of living can vary greatly depending on your lifestyle, budget and spending habits. You can consider a part-time job while studying in the Australia to help pay off any Expenses or to cover your basic needs. Receipts of any related payments you have made including tuition fees, health cover etc. Prescriptions to support your use of any required medications. Check baggage allowance with your airline. Your luggage should be clearly labeled with your name, contact address and the address of your institution. Climate will be different from your home country. So pack you baggage according to that.